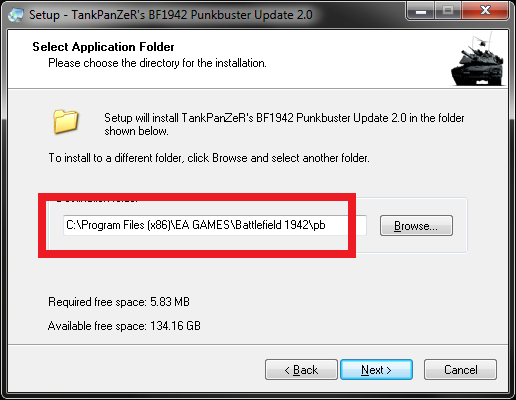 I had similar experiences on other servers running punkbuster but I'm an experienced computer user so that account for the fact that I'm able to do these things and the average Battlefield player is only comfortable in using an installer and things that are completely automated so this is the reason why we don't have punkbuster now but ea117 seem to have automated this process with just a simple set of installers. with the reason accusations against zzzMosquitozzz I'm prompted to make this post. I love the fhsw community I hate to see it fall apart because of cheating or cheat accusations as an admin I feel myself helpless to stop this as we don't have any tools at this point to prove or disprove if somebody is cheating and I really hate to do wrong, only if there is proof by screenshot or video which cannot be denied would I ban somebody from the server as this player shows no respect to the players or the game. 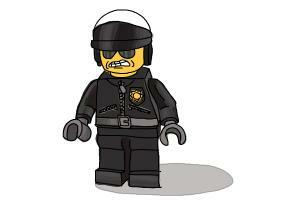 as an admin are most important Duty is to stay neutral and only judge upon proof. 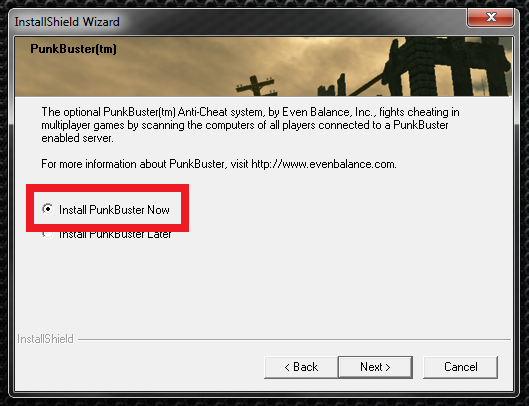 punkbuster will provide us with these tools but only if we can make it usable on the user side without causing more problems. 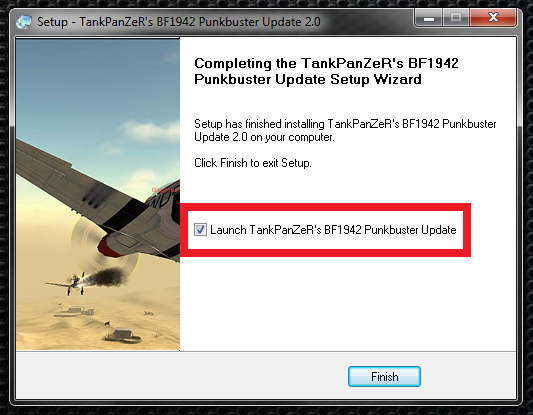 so with that out of the way I need guinea pigs to join my server and test punkbuster, but only if you are an experience computer user should you attempt this for now, because punkbuster installs deeply into your system and uninstalling it isn't going to be easy if it doesn't uninstall so if you're an experienced computer user and are comfortable uninstalling things manually and installing them manually if this is necessary feel free to participate in this test. 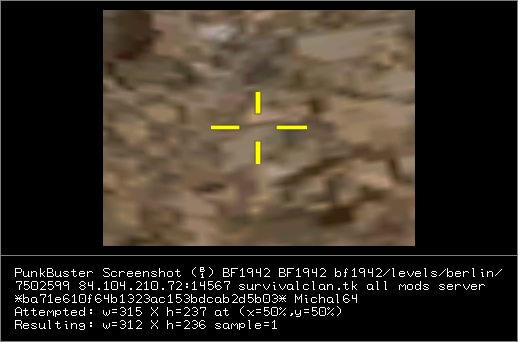 I also have to be on the server at the same time so I can take screenshot from your side of the screen to see if punkbuster Returns usable screenshots or just black screens which is a common problem with punkbuster in the days I was a desert combat admin. for cd rom version only! 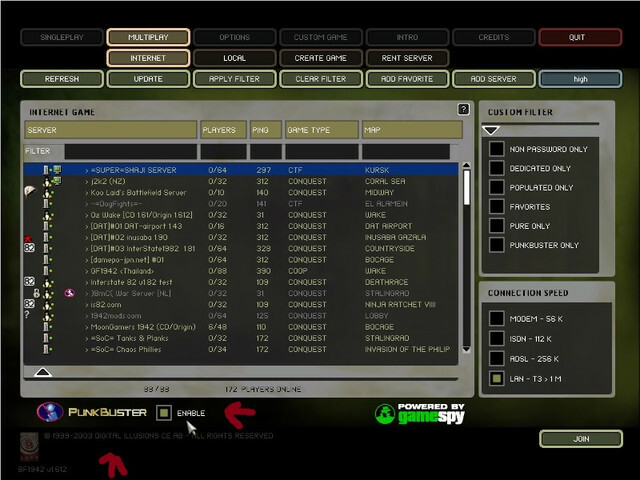 part 2 only if don't see the pb button in main menu! 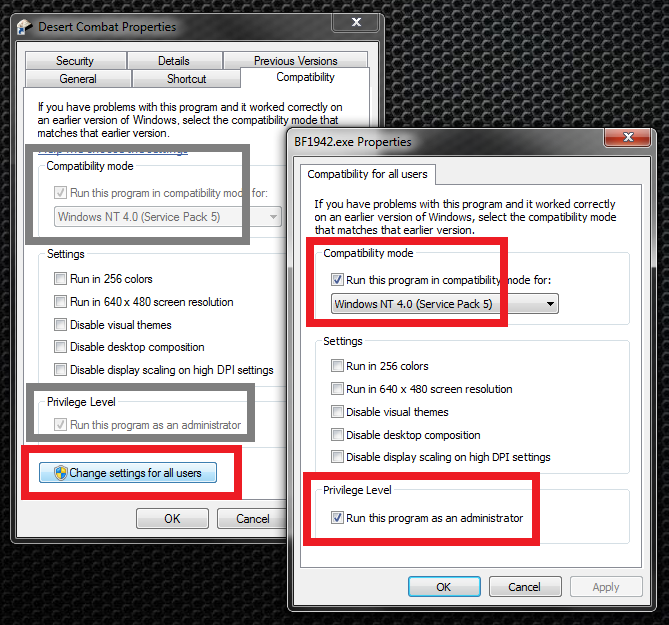 part 6 check your administration and compatibility mode settings. 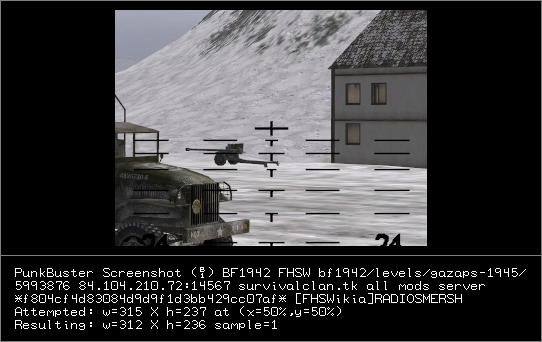 one of three possibilities could have happened to compatibility mode in the past. 1 you could be running the game without any form of compatibility mode. 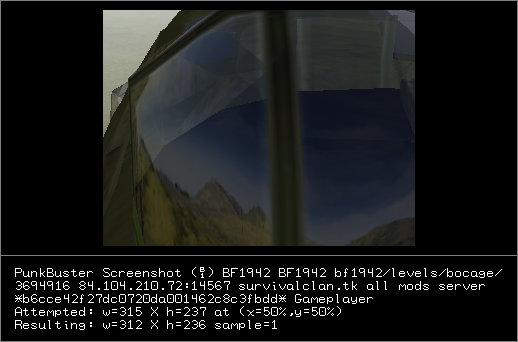 2 you're running the game with Windows 98 compatibility mode. 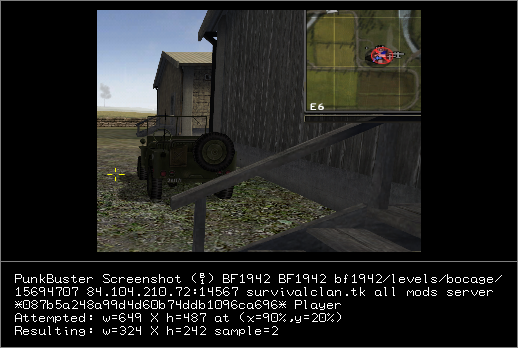 3 you're running the game with Windows XP service pack 3 compatibility mod. 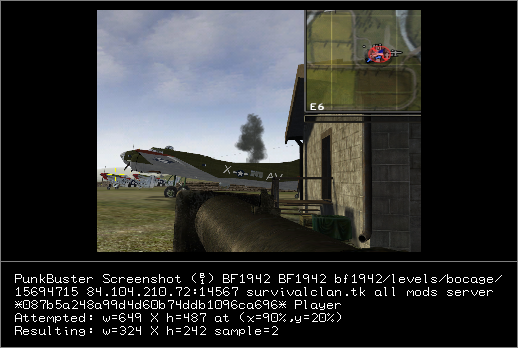 check if you have battlefield 1942 Windows Vista / Windows 7 compatibility fix installed. 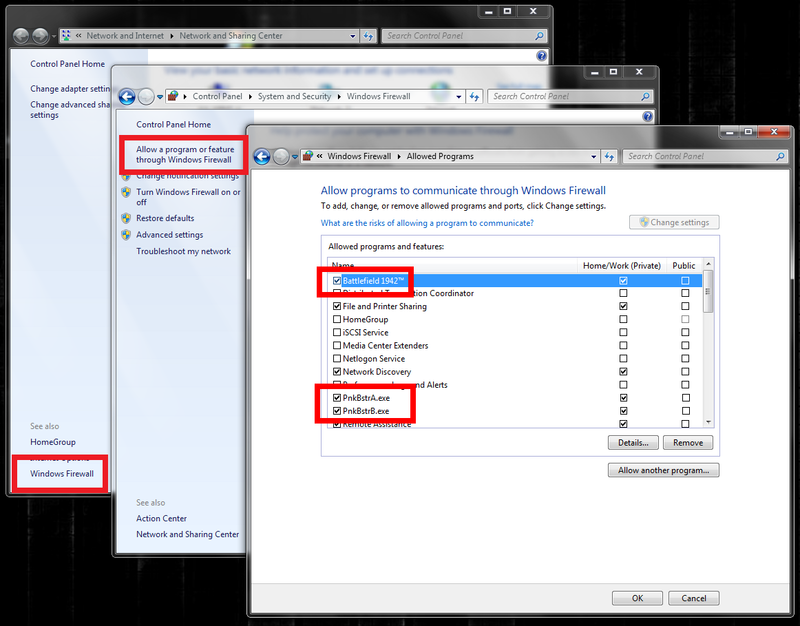 go to add and remove programs to check this and if you have this your done you have nothing more to do. 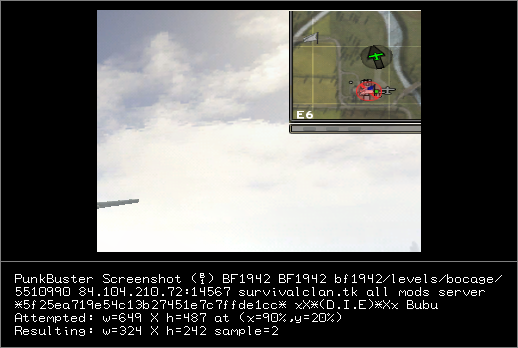 3 you're running the game with Windows XP service pack 3 compatibility mod your done you have nothing more to do. that's it you have nothing more to do. put this thread on main page please. 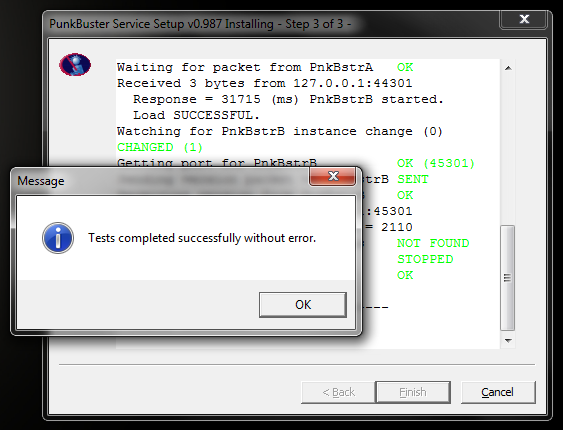 update on punkbuster testing so far the screenshot tool has work for the most part but I still have some issues with punkbuster which I'm not going to discuss in the public forum. I pm marduk about this. 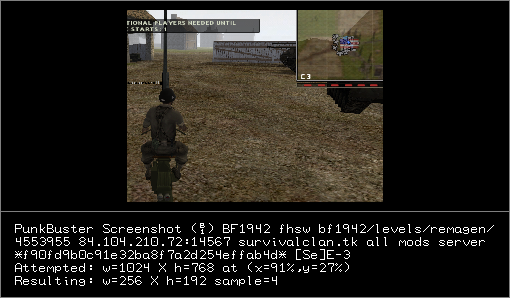 thanks for your help michal64 lol I never knew Linux wine and punkbuster would mix.